You’re interested in falling in love with yourself again or get that self-confidence booster! Maybe you want to surprise your spouse, or just do something for yourself to feel like a badass again?! I am a boudoir photographer who LOVES to build deep connections & friendships with my clients and give them a reason to stand in front of the mirror and say DAYUMMMM. Regardless of who you are doing this for my goal is to uplift, empower & encourage you and to make this an enjoyable experience. I take your awesome photos! You view your images and BAM! You fall madly in love with yourself all over again! Booking is number one! FIRST, view my work - see if it's what you're looking for. Next, learn more about me! This is such an intimate setting that making sure we connect is super important. I'm sure you're going to love me so I have no doubts, but let's be sure! Next is investment! Submit This form and you should automatically receive my pricing guide back within a few minutes. Make sure your email is correct so you can receive the documents. Choose your plan, pay your deposit & BAM! BOOKED! If you would like to save a little money, you may pay in full for a small discount! If you are unable to pay in full, we actually offer installment plans with LOW monthly payments. It allows you to pay in full & then customize your own plan in repayment. The best thing about this?! You get to book your session immediately. After you have officially paid & signed your contract, you will receive a prep guide that will walk you through everything you're going to need to know in regards to your session. Feel free to ask any questions you have outside of this guide. About 5 days prior to your session you will receive an email with your studio location, confirmation & additional instructions. The morning of your session, you'll arrive ready to rock & roll and the rest is history! I'll help you in facial expressions, posing, body & more! You have to literally do nothing except show up! You will receive your online gallery within 3 weeks. GET READY TO FALL IN LOVE! From there, depending on your package, you will pick your images & prints. These will be delivered as soon as the next day (again depending on your package) or within 3 weeks if you have albums & products on order. Hey there ya’ GORGEOUS human being. I am Ashlie! 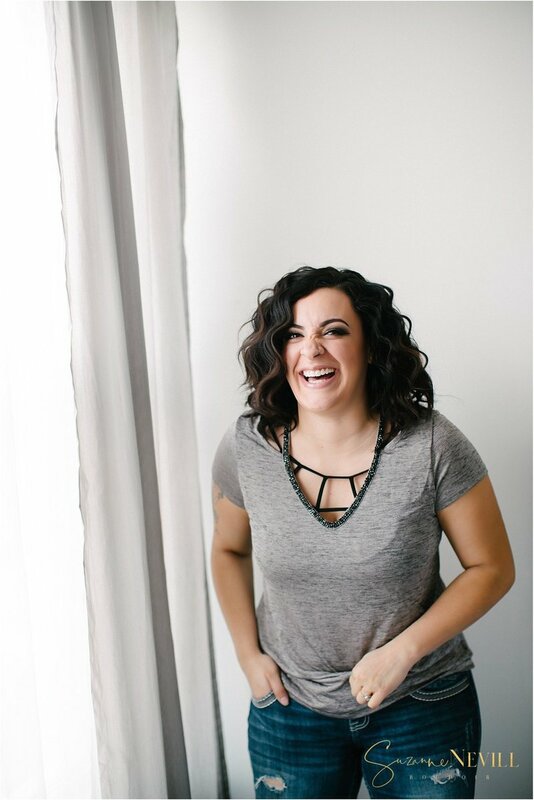 A wife, mom of two beautiful girls and one more little one on the way and your go to hair and makeup artist for your Boudoir session or Wedding Day! I was raised in beautiful rainy Washington and currently live in Denver Colorado. I enjoy anything and everything outdoors and baby animals. I can’t wait to help you will all of your beauty/makeup/hair needs. Begins at $200 Contact me to request more about pricing.